Living... in mystery. 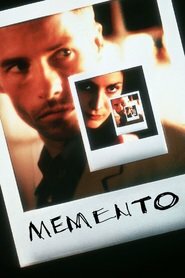 We mostly see Natalie through the eyes of Leonard Shelby, who suffers from anterograde amnesia, the inability to store recent memories. Profession… waitress at Ferdy’s Bar. On the side, Natalie helps run drugs through Ferdy’s by taking names and orders on beer coasters and setting up deals for her boyfriend, Jimmy. Interests… she’s captivated by this “memory guy,” Leonard. He has shown up at Ferdy’s a couple of times and may know Jimmy somehow. To make matters more complicated, Leonard is staying at the Discount Inn, a motel that Jimmy sells drugs out of. Relationship Status… dating a drug dealer named Jimmy Grantz. Challenge… gaining Leonard’s confidence and aid. She wants his help getting rid of a man named Dodd, an associate of her boyfriend Jimmy. If she can get rid of Dodd, she’ll keep a large sum of money involved in one of Jimmy’s illicit ventures. Given Leonard’s memory issues and desire for vengeance for his murdered wife, he can be a very useful tool. Personality… deceptive and forceful, but not unredeemable. She plays off of her sympathetic features to gain the trust and help of others. She does seem to care about Leonard and wants to help him as long, as it doesn’t cost her anything that she really wants. Natalie's popularity ranking on CharacTour is #3213 out of 5,000+ characters. See our top-ranked characters and read their profiles.